You are not alone if you already own a parrot and are thinking about adding another bird to your family. Many bird owners eventually decide to adopt multiple feathered friends once they find how enjoyable one is to have around. Parrots are notorious for being finicky creatures of habit and adding a new bird to your home can easily create stress in your existing pet. To ease any resistance and make the transition as smooth as possible, there are a few steps you can take to introduce the two birds. 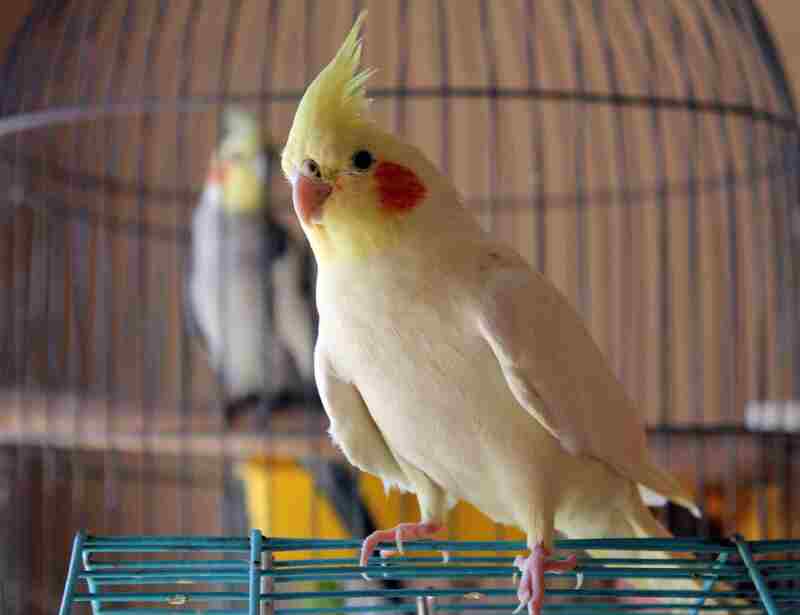 By doing it properly, you can show your bird that your new pet is a friend rather than foe. A rule of thumb among most pet bird owners is that a new bird should be quarantined for a period of time before introducing it to parrots that you already have. This accomplishes two important things: It keeps your bird safe, and gives it time to adjust to the new bird's presence. Quarantine significantly reduces the risk that your new bird could pass on any contagious diseases to your existing pet. Keeping the new arrival in a separate area not only protects your parrot from any airborne illnesses, but it also allows you time to safely observe the bird for any outward signs of sickness. At the same time, your parrot will have a chance to hear the new bird's call. It will become accustomed to the bird's voice and presence over time. Direct interaction too soon can be seen as intimidating or a breach of your bird's established territory. Once the quarantine period is over, it remains important to slowly introduce your birds to each other. Even parrots of the same species may not necessarily become the best of friends right away. Often, one of the birds will attempt to assert dominance over the other, and this can result in nasty fights if you aren't very careful. To help your birds get to know each other slowly, move your new bird's cage into the room where your older bird's cage resides. Allow them to observe each other from a distance for several days. As they become used to each other, you'll be able to identify signs that they are becoming more comfortable with being closer together. During this time, remain patient and don't push either birds' limits. Sometimes it is helpful to bribe your birds into getting along. 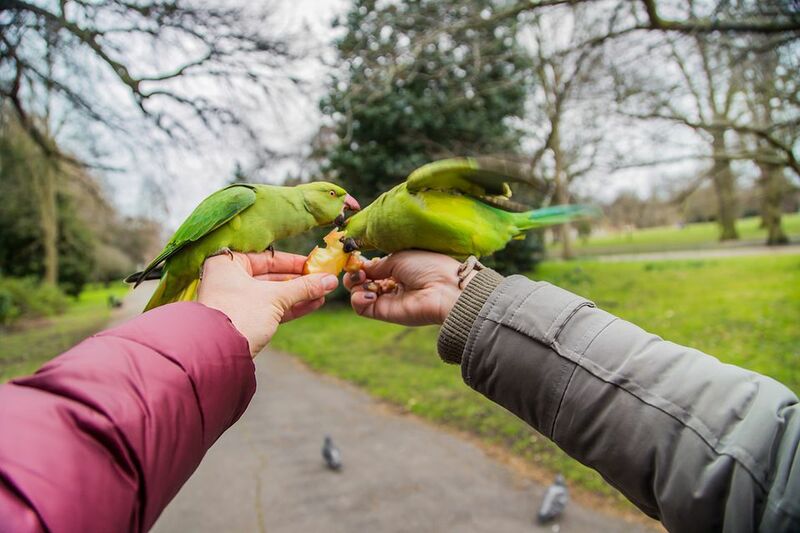 One of the easiest ways is to get each bird to form positive associations with the other by offering treats. The ideal time to begin is toward the end of the quarantine stage. When you're ready for the birds to see each other, simply bring your new bird's cage into the room. Offer both birds several tasty treats while they are in the same room together. After a few minutes, move the new bird's cage back to the quarantine area, and repeat the process later. It's important to leave both birds in their cages during this introductory phase. Otherwise, fights and injuries can occur if the uncaged bird charges the territory of the one that's behind bars. The later phases of introducing a new bird are a great time to start practicing bond-building techniques with both birds. Simple things like sharing food, grooming, and playing can greatly enhance your relationship with both of your feathered friends. When you feel that your birds are ready, let them watch you interact with each other from their separate cages. While it's possible that some older birds may exhibit jealous behaviors, it may make others more willing to accept the new bird as a flock member. Even when your birds are comfortable playing in the same room out of their cages, it may take some time before they are actually ready to play together. A good way to speed the process along is to try some trick training with both of your pets. Your birds will get plenty of positive reinforcement from all the yummy treats they earn during their joint training session. Additionally, you will be building a stronger sense of companionship by interacting with each other like a flock. If at any time during the introductions you notice either bird becoming uncomfortable, take a step back. Remember that birds can be touchy and one of your birds may not be ready to move as fast as you like. Move more slowly or go to the previous step and don't proceed until your birds fully accept that part of the process. It will take longer for some birds than others, so it's important to follow your bird's lead. It's possible that your parrot will never accept a new bird. Be prepared to make alternative arrangements if needed. This may mean you will always have to keep the birds in separate rooms and ensure the door is closed whenever one bird is out of its cage. Unfortunately, if you cannot find harmony in the home at all, it may be best to consider finding a new home for the new bird. Some birds are simply better off being the only pet and making this difficult decision may be what's best for both birds.